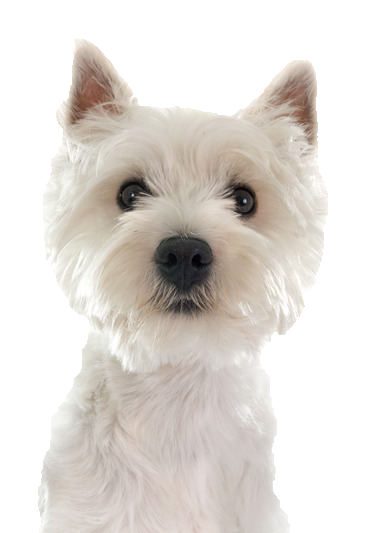 Despite his cute facade, your Westie is still a terrier breed and while he will quite happily sit on your lap for cuddles, he is just as likely to make mischief and cause trouble. He will require daily brushing and the occasional bath to help keep his coat clean and manageable after all the muddy puddles he will undoubtedly splash through. Despite enjoying his walks, he can be lazy and take frequent naps throughout the day – so a comfortable bed with lots of home comforts is desirable. We have a variety of different beds, all equally as comfortable, to suit his needs.